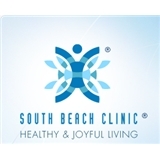 Adult & Geriatric Psychiatry at South Beach Clinic (Miami Beach) - Book Appointment Online! At South Beach Clinic, we aim for excellence in psychiatric care. The office and staff are very pleasant and accommodating. Dr Paredes takes a comprehensive/integrative medical approach for diagnoses and treatment, which values the uniqueness of each individual. Dr Paredes does not accept any insurance but his office does provide insurance forms on behalf of his patients as an out-of-net work provider.